Violinist. Japanese Garden. Westpark. Munich. We met this guy from Japan who was a translator based in Munich. 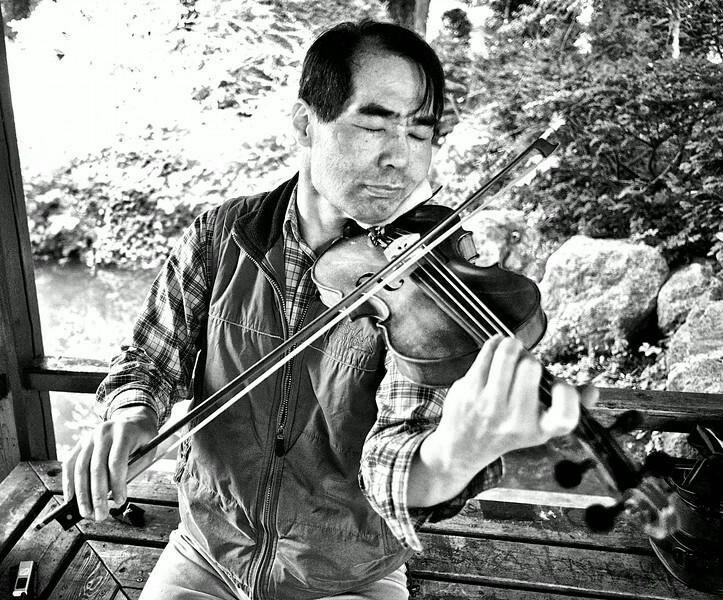 He came every week to the little Japanese Zen house to play his violin.